These cylinders are designed with a microswitch attached to the back of the cylinder. The switch is operated by a cam when the key is rotated. With the XB09-195 the key is rotated and the switch is activated (momentary). The key can NOT be removed to leave the cylinder in the "ON" position. With the XB09-795 the key can be rotated to the on or off position and then be removed. 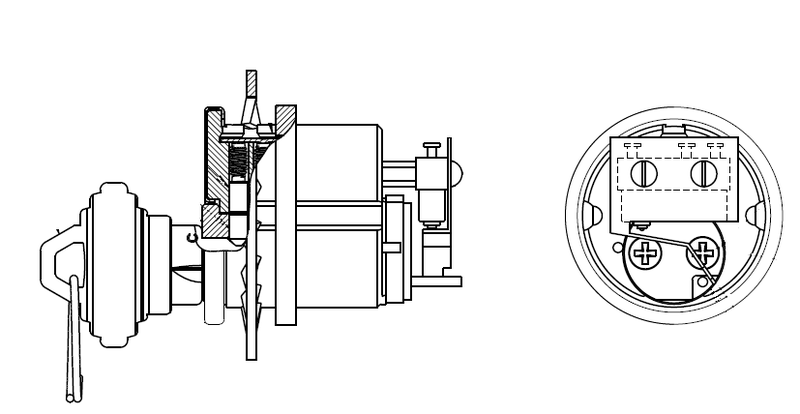 Resolution: The XB09-195, XB09-795, and XQ11-804 are basically modified mortise cylinders. The overall length of the mortise cylinder switch is approximately 1-9/16" (1.563"). The diameter of the cylinder face is approximately 1-3/8" (1.375"). The thread on the mortise cylinder switch is 1.150" x 32 UNS-2A.